The adoption industry is so ethical, so upstanding, so charitable, right? Then why is it that I keep running into stories of some of the most deplorable acts thought possible to man? A newborn, snatched from his mother’s breast because of unethical practices, lies, and misinformation to the new mother. Information withheld from her for the purposes of being able to commit this heinous act. Let me introduce you to Kim. Mirah Riben shares her heartbreaking story in this Huffington Post article. Before you continue reading, please read both parts 1 and 2 of Mirah’s article for reference. I’m not going to waste anyone’s time reiterating what is already out there. What Mirah states are the facts and the story. I’ll share my thoughts and opinions on it here. 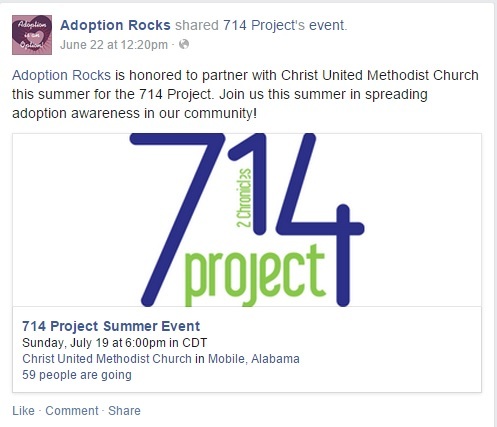 “Adoption Rocks is a non-profit organization located in Mobile and Dothan, Alabama. We are dedicated to loving, embracing, and enabling women with unplanned pregnancies and supporting those who seek to build families through adoption. Adoption Rocks was founded by a group of civic leaders, adoptive parents, and professionals who each had a strong concern about babies being born to single mothers and decreasing rates of infant adoptions in Alabama, especially the Southern portion of Alabama. Adoption Rocks is working hard to place educational adoption materials into local Alabama health clinics, Alabama school nurse offices, Alabama crisis pregnancy centers, Alabama ob-gyn offices and more. 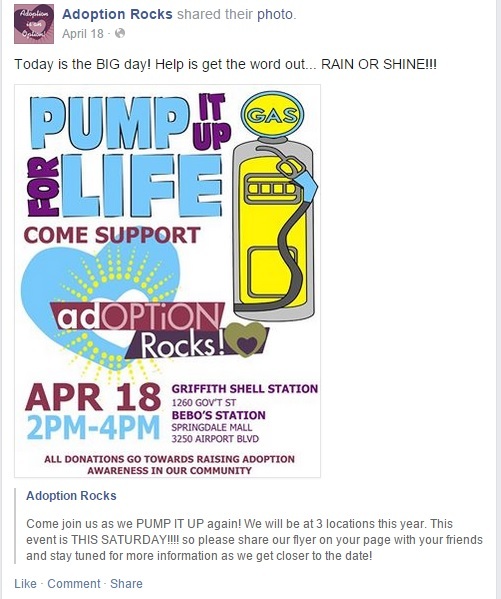 Adoption Rocks is also trying to educate the general public about adoption as an option for crisis pregnancies in the state of Alabama. Over 50 percent of babies born in Mobile County, Alabama are born to unwed mothers. Roughly 6,000 children have been removed from their homes and placed in the legal custody of the state of Alabama due to abuse and neglect. Adoption Rocks is hoping to change this trend through education and awareness. But wait, it gets even better. Since leaving my comment not only has my comment and their response been removed, their whole Facebook page has been removed. Clicking on the link through the e-mail I received notifying me they had responded gives me THIS. There are a couple other pages called “Adoption Rocks” on Facebook but none of them are affiliated with the subject of this article. Who is the brain child behind Adoption Rocks? Well, none other than adoption attorney, Donna Ames. 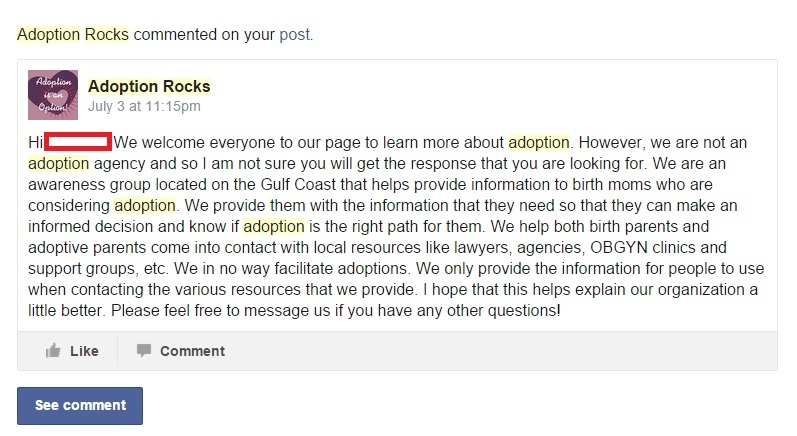 So, while Adoption Rocks claims they are not an agency and do not facilitate adoptions, the creator and “CEO” of the non-profit group IS an adoption attorney who makes her living off of facilitating independent adoptions. This sort of sounds like a Ponzi scheme for more profits disguised as a non-profit to me, sort of like #BraveLove which has the CEO for Gladney Adoption Agency sitting on its board. 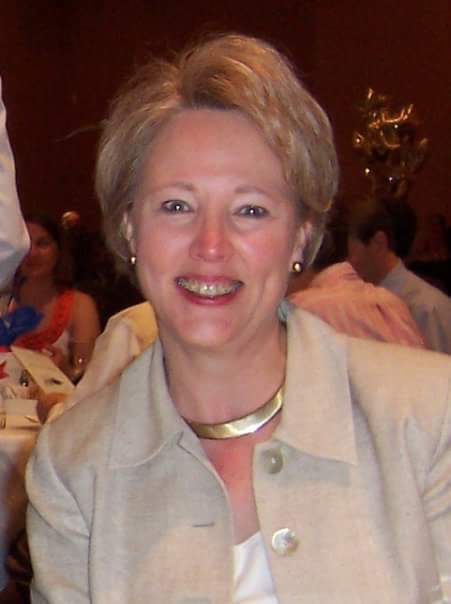 Donna Ames is an adoption attorney and an adoptive parent herself. While her practice appears to be fairly small, I can’t help but wonder how many vulnerable expectant mothers contact her via Adoption Rocks (the front for her money machine adoption practice) that she ends up representing and profiting from. It’s really quite brilliant, when you think about it, and is becoming the new way of doing things for the adoption industry. Set up a front organization. Say it’s non-profit and it’s about educating the public about adoption and how great it is, it’s about helping expectant and birth mothers (although no one making money from adoption is calling expectant mothers anything but birth mothers, sadly). The non-profit can be used to draw in expectant mothers who are then funneled over to the “legitimate” agency or attorney to legally facilitate the adoption. In Donna’s case, I wonder if her independent adoption work, per the IRS, would truly be considered non-profit. I do not know how much money she makes off of separating mothers and babies, but I can assume it isn’t low enough to be considered non-profit, unlike her Adoption Rocks organization. For this reason, tax documents are not available for Donna to show how much she makes facilitating adoptions because, well, she isn’t registered as a non-profit. Hence the need for Adoption Rocks. Another interesting thing about the board of directors for Adoption Rocks is Yasmen Qurechi, M.D. She is listed as an M.D. However, when running a google search on that name, she is only popping up in 3 results – all associated with Adoption Rocks. When I run a license search on her for the state of Alabama, she is UNLICENSED. Why would an unlicensed M.D. be on the board of directors for an adoption agency (whoops, sorry, an adoption education organization)? Something is definitely not right there. When I broaden my search (not searching for exact terms and spelling – as provided on the Adoption Rocks website) I do find a radiologist by the name of Yasmeene A Qureshi. Totally different spelling than provided on the Adoption Rocks website. Upon doing a license search I found yet another spelling – Yasmeen Anjum Qureshi. I’m going to just go out on a limb and assume they’re the same people. Why the misspellings though? Can we safely assume that since Yasmen/Yasmeen/Yasmeene Qurechi/Qureshi is a doctor of radiology that expectant mothers are sent her way for imaging? Is she also part of the Ponzi scheme? Chris Kalifeh. According to his LinkedIn profile he is a student in advertising. He states: “I am a student working on his advertising degree. I love people, art, and business. Selling a product I believe in. Making people believe I can help them and their business, then making it happen.” SELLING A PRODUCT. 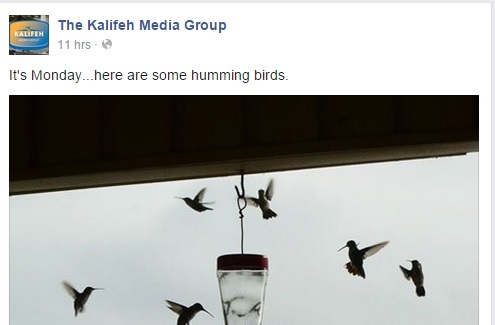 I also found his website – The Kalifeh Media Group. Ironically </THIS Facebook page is no longer in existence either (since posting this, the page has magically appeared again). Hmmm. Are these people scrambling to erase evidence or is this a coincidence? Well, what we do know is that up until just a few days ago BOTH of these pages were active. 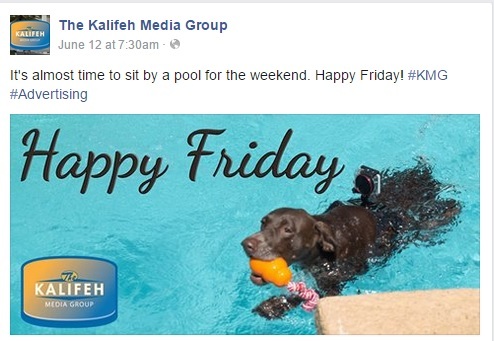 Going to the cached version of both Facebook pages shows you that Kalifeh Media Group was active yesterday and I know, from personal records (my e-mail where they responded to my comment) that Adoption Rocks was active until AT LEAST July 3. We also know that as late as April 18 of this year Adoption Rocks was fundraising. Let that sink in for you. Carmen Ives, R.N. is also listed on the board of directors. Her nursing license expired in 2012, yet she is still listed as an R.N. I’m starting to think they have the whole medical and judicial system in their pockets looking at these lists of people. A judge, a nurse, a doctor, an adoption attorney. There’s even a John Ives III M.D. – Is he related to Carmen? Unregulated, unchecked, adoption industry run a muck. That’s what this is. And here we have Kim. Her child ripped away from her. Kate Sharp, of Harbert Realty in Birmingham, Alabama, the woman she still thinks would be a good mom. This woman made all of this come together. Her own selfish desires to be a mother instigated the legal kidnapping of SOMEONE ELSE’S BABY because of a legal loophole (and poor legal representation and legal advice). How could anyone take someone else’s baby if they didn’t want to give it to you. How does Kate sleep with herself at night? But this is about more than Kim. It’s about setting a legal precedent that just because someone wants your baby they don’t have the right to come take it off your breast. Reblogged this on Flawed and Fucked Up. This is by far the most atrocious case I have ever heard in Adoptionland to date. After reading this, you will see why private adoption is so corrupt. I myself, did private adoption with my son…and a year later, the adoption laws were changed and private adoption ( as the Americans are now finding out) was made illegal because of the corruption running rampant in the industry. My sons adoption happened 20 yrs ago! This sounds like a pretty solid way of avoiding “Ambulance Chasing” or the term to describe when attorneys try to solicit their services to people who end up using them. For example, an injury lawyer handing out business cards to hospital patients who were in car accidents. This is illegal. Or, I don’t know, adoption attorneys sitting in women’s maternity rooms at the hospital. “What Mirah states are the facts and the story.” If you believe that, I got a bridge in Alaska to sell you. Try all you like, the facts remain. Nothing you can do will change that. That’s funny as it wasn’t there when I wrote this post. It seems someone is trying their best to discredit those of us speaking the truth. I don’t know what kind of “christian” she is but I’m sure that when she meets her maker she’ll have a lot of explaining to do. Just wanted to point out, that another member of their board of directors, also has medical field connections. Beth Taupeka is the wife of Dr. Paul Taupeka, M.D and the daughter of Dr. H. Wade Faulkner, M.D. Just food for thought, since you were pointing out connections. Reblogged this on The Burning Times of Vesper Woolf.